The Ozone Monitoring Instrument (OMI) is an earth observation instrument, commissioned by the Netherlands and Finland, that measures the concentration of ozone and other trace gases in our atmosphere. OMI maps the worldwide ozone concentration on a daily basis. This information is useful for the prediction of the (local) intensity of ultra-violet radiation and smog formation. 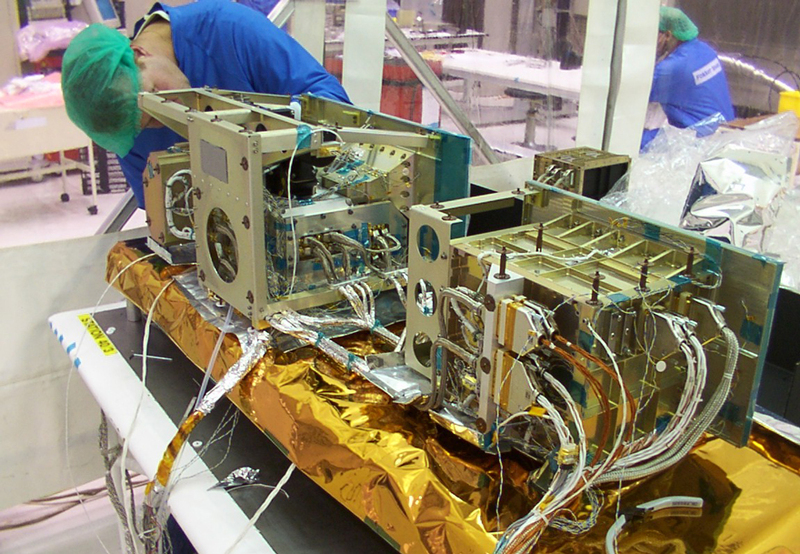 The OMI instrument is part of the EOS-AURA satellite, built under the responsibility of NASA and launched in 2004. Scientists want to understand the causes of the erosion of the ozone layer and if the layer might be able to recover by itself. OMI collects data about many atmospheric gases, ozone in particular. Based on this data, scientists are able to assess the condition of the ozone layer, and calculate the amount of harmful radiation it allows to pass through. The earth is viewed in 740 wavelength bands along the satellite track with a swath large enough to provide global coverage in 14 orbits (1 day). The nominal 13 x 24 km spatial resolution can be zoomed to 13 x 13 km for detecting and tracking urban-scale pollution sources. The hyper-spectral capabilities will improve the accuracy and precision of the total ozone amounts. OMI was developed by Airbus Defence and Space Netherlands (then called Dutch Space) and TNO. The KNMI (Royal Dutch meteorological institute) was scientific leader of the project and SRON (Dutch space research institute) was also closely involved in the project.